Lizae joins Christine Jugueta, Omehra Sigahne, and Letecia Layson for a session called "The Red Thread: Sacred theatre, indigenous wisdom, and the Goddess movement as tools for shifting the leadership paradigm"
Lizae Reyes is a harpist born in the beautiful island of Cebu, Philippines and has lived in the San Francisco Bay Area for forty years. She is a certified sound and music healing practitioner. 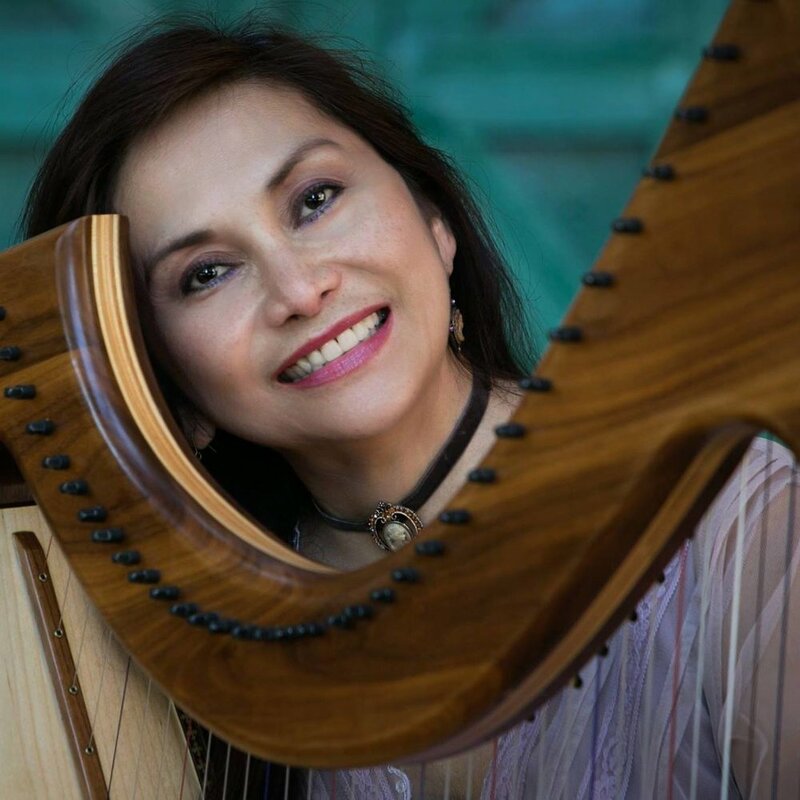 As a multi-modality artist, she uses dance, storytelling, poetry and harp for contemplation and as a way to create sacred space for healing. As a student of Indigenous Wisdom, she continuously travels to the Philippines to gain more insights about her roots. She also facilitates a Pre-K classroom utilizing an Earth-based program and says that children are her main teachers. Her work is rooted in what she calls the Journey to Wholeness, where she recognizes everyone as co-journeyers and offers a quiet announcement to help open the inner doors, and to go even further... creating a swirling mass with no separations.